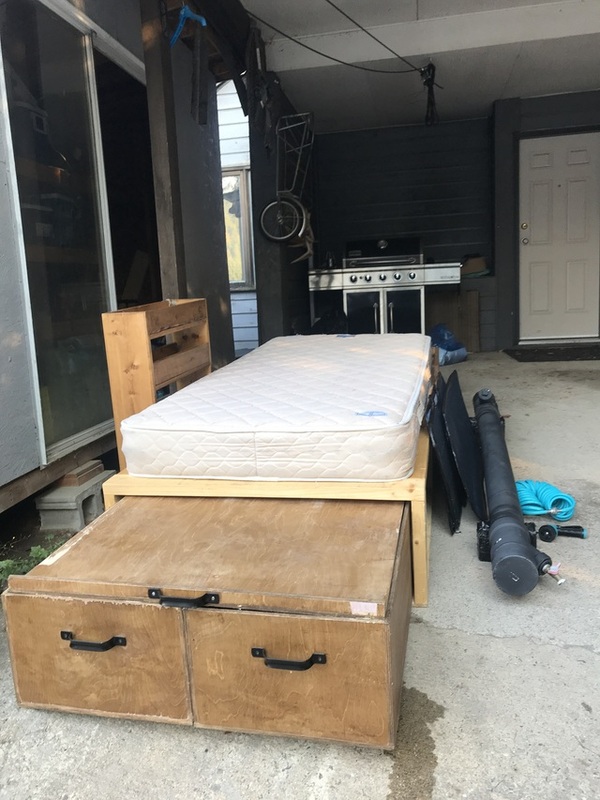 Bed frame complete with spring mattress with pull out drawers, seperate clothing storage at front of unit, shelves and secret storage compartment. Solar heated shower that can be pressurised (has valve for air compressor) comes with hose and spray nozzle. Window blackouts to suit Dodge Grand Caravan. Make an offer want it all gone can sell all together or separately!